Mr Antenna Man really cares about the quality of his service. He knows all about antennas, knows how to set them up, and get you started. He keeps adjusting till you get the very best reception possible and all the channels you can pull in. The price is very reasonable. We are so happy when we watch TV free with no monthly fees. It's nice to know there are service providers out there who you can trust for a good product and good outcome of service. I have been telling everyone I know about Mr. Antenna Man! 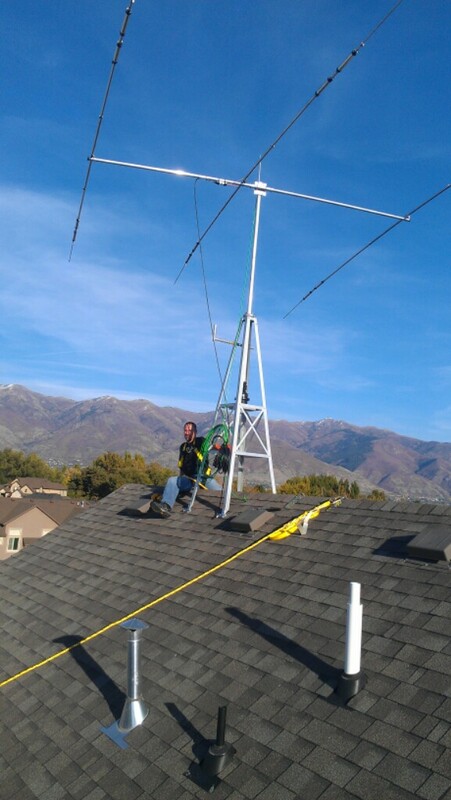 "Mr. Antenna was prompt and professional. After installing the antenna he demonstrated that all channels in the area came in clean before he accepted payment. By cutting cable the antenna pays for itself in 2.5 months and after that I am saving $100 per month. With the over the air channels coupled with an internet connection I have all the media I need at a fraction of the price. I'd recommend this to anyone looking to decrease their monthly bills." My old TV antenna blew down in a windstorm. 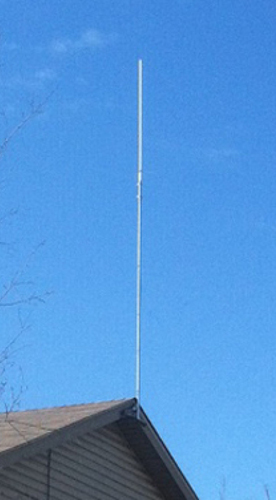 I emailed Mr. Antenna in the evening and they replaced it the very next morning. The price was extremely reasonable and they were very knowledgeable about TV antenna reception and installation in Las Vegas. Free TV is the way to go. I’ve saved $1000/year by cutting the cord from pay TV. If you want to install an old fashioned free TV antenna and stop paying the cable/satellite company $100/mo, call Mr. Antenna. With digital TV, there are a lot more free channels just waiting to be picked off the air than before. Late this Fall I had Mr. Antenna install an outdoor antenna on our condo roof. I finally made the plunge after nearly two years of putting it off. 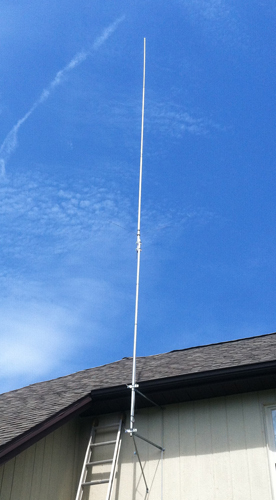 Mr. Antenna was prompt, professional, friendly, and knowledgeable. Thanks to Karlo of Mr. Antenna I now get 54 channels without any monthly fees. And more channels and sub-channels are in the pipeline to launch soon in Las Vegas. The one time installation fee is small compared to the annual savings over having to pay cable and/or sat. Why did I wait 2 years for free TV reception with such a great channel selection? Mr. Antenna had given me a one hour window as to when he would arrive to install my new antenna. He actually called to let me know that he would be here toward the last part of that one hour window. Amazingly courteous. The installation was done in a professional manner. The antenna was physically smaller than I thought it would be so that was a plus. Lastly he took the time to check the reception on all of the channels to make sure the antenna was working properly and pointed in the correct direction. In today's day and age I can't say enough good things about the entire experience. And, all of the HD channels are as crystal clear as can be! For me, this antenna insulation is perfect for my need. I do not have the need to watch a lot of channels other than OTA channels. The signal I receive from the antenna gives a superb quality, better than that from the cable. My 10-old Trinitron suddenly has gain new life. Mr. Antenna Installed a new antenna at our house. He was on time and the work was completed in a professional manner. Also assisted in installing a new Tivo box. This required an extra hour waiting for downloads but was not phased by the wait. All in all,an excellent job. Great service at a great price. It was nice to cut the line to the cable and dish companies, and just get my main stations free. I use the internet for most of my viewing now, so I just needed the basic network channels. Mr Antenna did a great job installing my new TV antenna. He was very knowledgeable about everything I asked about regarding Channels, Reception and Equipment. He did a clean install and is a very nice person to do business with. I highly recommend Mr. Antenna. I would highly recommend Mr. Antenna to anyone who doesn't want cable but is having trouble receiving signals from local stations. I am very happy with the reception and the number of channels I am now getting. The installation was quick and easy and very professional. I got tired of paying for cable TV so I decided to get free TV using an over-the-air antenna. I contacted Karlo (aka Mr. Antenna) and quickly received a response. Karlo quickly (and patiently) answered all my questions so I decided to have him install my digital roof-top antenna. He showed up at the specified time and even called about 30 minutes prior to let me know he was on his way. It was great to have a specific appointment time and not a "window". Karlo explained exactly what he was going to do before he performed the installation so there were no surprises. The antenna installation was quick and the roof-top antenna is very unobtrusive. Next, Karlo set up my TV's and ensured that I was getting a quality signal. I couldn't believe how clear the major channels were! He even helped me setup my TiVo at no extra charge. In all it was a great experience. Karlo is very knowledgeable, a real pro and a nice guy too. Dump your cable, call Mr. Antenna and start enjoying free TV. I wish I did this years ago. Saving a bundle. Most of what we watch is on network TV. I don't need cable, dish etc. to do that. Finding Mr. Antenna is now saving me $60 month. Karlo came out as scheduled and was able to connect a small antenna to where the dish used to be. With this setup, our reception is outstanding. The clarity from through the air signals is also outstanding. I dont allow anyone in my home for my own reasons.Mr. Antenna worked with me instead of just saying NO.He was on time.Explained everything.Stayed to make sure the job was complete and everything was working.I am just thrilled that I no longer have to get up and adjust the rabbit ears every 8 minutes.Some channels were MIA for weeks. Thank You so much, Mr. Antenna. 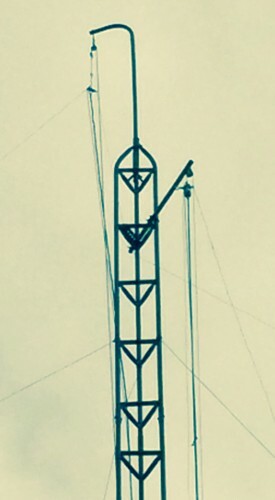 Karlo installed an antenna on a not so easy to get to part of my home. He took the time to also re-wire my internet access through the cable modem so it would not have to be moved to an undesirable area of my home. He then made sure that all the channels on both TV's came in clearly and also hooked up my DVD player attached to one of the TV's. I highly recommend this service if you want to ditch cable and still get major programming on 50+ very clear stations. Mr Antenna (Karlo) came and installed an excellent antenna on the top of my home so that my reception is absolutely perfect for all of the channels in Las Vegas. It is so nice to be able to get perfect high definition service to my TV's, but not only did Karlo take care of that, but he perfected reception to the very difficult HD HomeRun which has a particularly difficult time getting channel 3. OTA antenna reception is a black art, and Karlo is the master of the art, and performed everything with absolute ease.